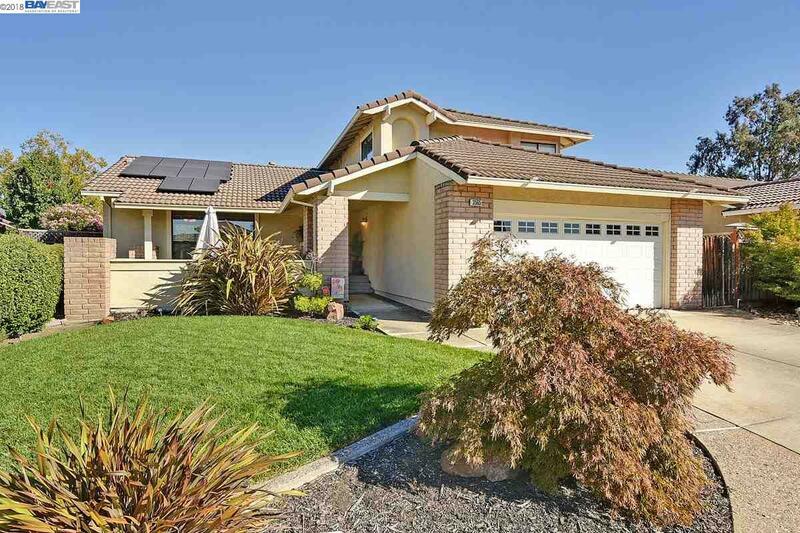 Gorgeous home nestled on a quiet court in Pleasanton's highly desired Pleasanton Meadows neighborhood. This lovely home has been meticulously maintained. The popular floor plan features a full bedroom and bathroom downstairs, gorgeous wood floors, crown molding, stainless appliances, indoor laundry and solar electricity. Low maintenance backyard is surrounded by trees and features a large paver patio, wooden deck, several fruit trees and cozy sitting areas.